MEPs Seb Dance, Fredrick Federley anch Charles Tannock debate Brexit deal at EU40/Parliament Magazine VoxBox debate. 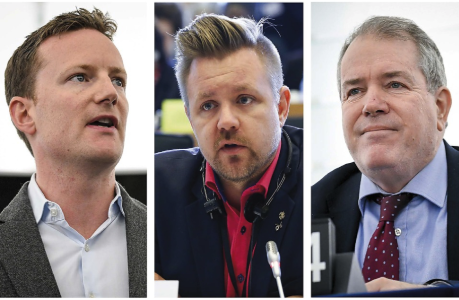 On 23rd November, EU40 and The Parliament Magazine organised a VoxBox debate in the European Parliament discussing the UK-EU “divorce saga with MEPs Fredrick Federley (ALDE, Sweden), Seb Dance (S&D, UK) and Charles Tannock (ECR, UK). Please find the debate featured in the Parliament Magazine here.